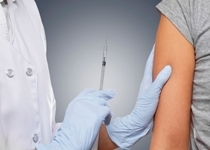 Home » General Health » Should You Get the Flu Shot? Should You Get the Flu Shot? Every year as the colder months approach, you hear radio and TV ads about the importance of getting your annual flu shot to protect you from the influenza A and B viruses. But do those pushing the vaccination have your health in mind? When it comes to getting the flu vaccine, it can be hard to decide whether or not you really need it. If you’re still struggling to make this decision, then here are some facts to consider before deciding if the flu shot is or isn’t in your best interests. I recall that the commercials link the yearly flu shot with being healthy, but what does the shot actually have to do with your health? Well, for the majority of Americans, you could get by just fine without the flu vaccine. When the media and respected health professionals inform you that your health is at risk without a flu shot, it is understandable that you may feel the shot is required. The flu can swiftly lead to symptoms such as a fever, sore throat, dry cough, muscle and joint aches, general fatigue and weakness, and for some, it can even lead to pneumonia. Every year the influenza virus affects 5%–20% of Americans. In the U.S., there are 24,000 deaths and 200,000 hospitalizations related to the flu. For those who get the shot, it is the fear of what could happen that helped them make their decision. However, it’s important to note that skipping the vaccine does not mean that you will definitely get the flu—or suffer from all of its symptoms or the worst-case scenarios either. I have never had the flu shot, and I’ve never had the influenza virus. And I don’t seem to be alone in my stance to not get the flu shot; only 46% of Americans got the flu shot last winter season. For the remaining 54%, accessibility likely wasn’t the reason, as it is available in many places, including most doctors’ offices, walk-in clinics, pharmacies, health departments within grocery stores, colleges, schools, and even many workplaces. But even though it is widely available, on average, only half of the American population is known to get the flu shot each year. So why is this? Many people question whether the flu shot really works or the safety surrounding the vaccine. They may also fear getting the flu from the shot that’s meant to protect against the virus. Each year, flu vaccine effectiveness will vary, and ingredients are chosen based upon virus strain predictions. Though the most common virus strain is type A H3N2, developing a vaccine for the right strain each year is often a guessing game. Last winter, the vaccine was only considered 50% to 55% effective. If you’re getting the vaccine each year, you expose your body to multiple strains year after year. Do you think it is helpful to introduce your body to new virus strains and harmful ingredients on a regular basis? This is just one reason the majority of Americans choose not to get the flu shot. Secondly, many people may believe that the flu shot may not even work this year. The Centers for Disease Control and Prevention (CDC) health officials have even stated that the flu vaccine is ineffective against the dominant H3N2 strain. AstraZeneca’s “FluMist” nasal spray was also considered to have very little or no effect on the swine flu strain (H1N1) last winter, and it also may be effective during this winter season. As a result the flu season may be the worst yet, even if the majority of Americans decided to get their vaccine. Is the Flu Shot Considered Safe? There is also the question as to whether it is safe. Aches, a low-grade fever, soreness, and redness are considered minor side effects from the flu shot. There may also be swelling at the site of the shot. The nasal spray vaccine may also produce additional symptoms, such as headaches, wheezing, a runny nose, and vomiting. Flu vaccines are also known to contain heavy metals, such as mercury. Mercury toxicity can cause anxiety, depression, memory loss (Alzheimer’s disease), digestive problems, and respiratory issues. Other ingredients in flu shots, such as formaldehyde, live flu strains, and sodium deoxycholate (used in detergent), also contribute to harmful neurological disorders. Do you really want harmful chemicals in your body? Finally, vaccinations have been known to suppress your overall immune system, meaning that you could be even more vulnerable to sickness following your shot. How Do You Protect Yourself From the Flu Without the Vaccine? Large doses of vitamin C can help improve immune function—2,000 to 4,000 mg, three times daily with meals can increase the activity of white blood cells. However, the dosage should be lowered if you experience diarrhea, or other digestive problems. Vitamin D is also important during flu season. I would consider 5,000 international units (IU) daily with meals for optimal results. Also, garlic, anise, boneset, catnip, cayenne, mullein, American ginseng, and elderberry are important herbs during flu season. Finally, homeopathic remedies may also protect you against the influenza virus. Oscilloscoccinum and influenzinum are considered popular homeopathic products used as preventive formulas, which are also taken at the onset of the flu. Other specific remedies may include baptisia, bryonia, dulcamara, belladonna, arsenicum album, aconitum napellus, eupatorium perfoliatum, gelsemium, and rhus tox. Balch, P., Prescription for Herbal Healing: An Easy-to-Use A-to-Z Reference to Hundreds of Common Disorders and Their Herbal Remedies (New York: Penguin Group, 2012), 364–366. Hershoff, A., Homeopathic Remedies: A Quick and Easy Guide to Common Disorders and Their Homeopathic Treatments (New York: Penguin Putnam Inc., 1999), 194–195. Balch, J., et al., Prescription for Natural Cures: A Self-Care Guide for Treating Health Problems with Natural Remedies Including Diet, Nutrition, Supplements, and Other Holistic Methods (Hoboken: John Wiley & Sons, Inc., 2004), 258–263. Brogan, K., “A Shot Never Worth Taking: The Flu Vaccine – by Kelly Brogan, M.D.,” International Medical Council on Vaccination web site, November 27, 2013; http://www.vaccinationcouncil.org/2013/11/27/a-shot-never-worth-taking-the-flu-vaccine-by-kelly-brogan-md/. Hyman, M., “The Flu Shot: Helpful or Harmful,” Dr. Mark Hyman web site; http://drhyman.com/blog/2013/12/16/flu-shot-helpful-harmful/#close. “10 Reasons Why Fly Shots Are More Dangerous Than A Flu!,” Be Well Buzz web site, October 2, 2011; http://www.bewellbuzz.com/general/10-reasons-flu-shots-dangerous-flu/. Adams, M., “CDC issues flu vaccine apology: this year’s vaccine doesn’t work!” Natural News web site, December 5, 2014; http://www.naturalnews.com/047890_flu_vaccines_CDC_apology_medical_fraud.html#. Stobbe, M., “This Winter’s Flu Vaccine May Be Less Effective, Health Officials Warn,” HuffPost Living web site, December 4, 2014; http://www.huffingtonpost.ca/2014/12/04/cdc-flu-vaccine-winter_n_6269226.html. “Key Facts About Seasonal Flu Vaccine,” Centers for Disease Control and Prevention web site; http://www.cdc.gov/flu/protect/keyfacts.htm, last accessed December 29, 2014.